My mom’s new favorite dip. Chop pickles in food processor. Mix all ingredients together using less pickle juice for a thicker dip and more juice for a thinner consistency. 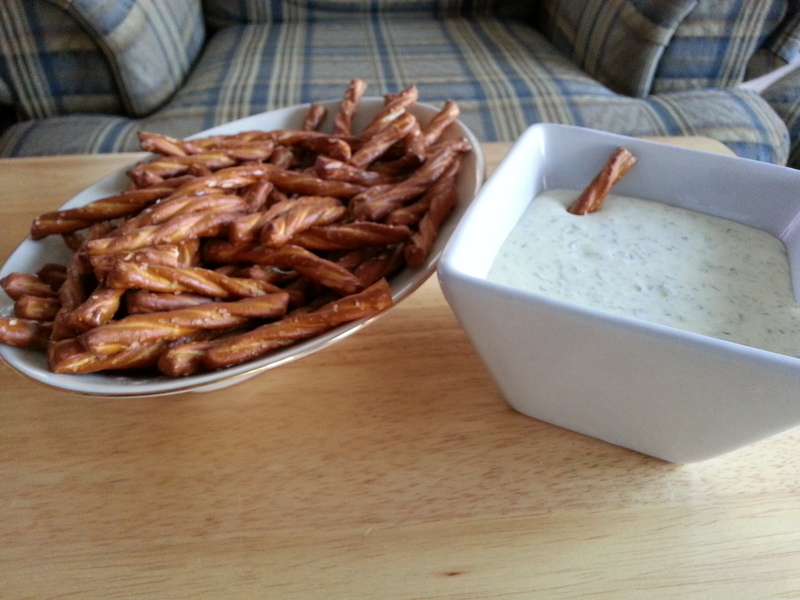 Chill for an hour before serving with pretzels. Fresh carrots and celery can also be served.